Everyone who designs plumbing systems knows from experience how important it is to follow the code exactly. Even a small mistake can keep a plan from being approved - causing expensive delays. Unfortunately, it's easy to make mistakes. The plumbing code isn't like a cookbook. It doesn't explain what to do step by step. Plumbing codes are complex regulations written to be enforced (like a law) rather than to be understood. But that doesn't mean you have to under- stand the code any less. You have to follow the code exactly - every time. That's what this manual will help you do. 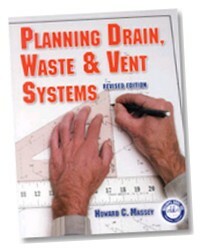 This book is written for anyone who wants to avoid mistakes and delays when preparing plans for drain, waste and vent systems in buildings. Whether you're a plumbing engineer, plumbing designer, plumbing contractor or plumber, I think you'll find the design information you're looking for between the covers of this book. I'm going to assume that you know a little about plumbing materials and how they're in- stalled. But that's all I'm going to assume. Whether you're an experienced professional plumbing de- signer, or working on your first plumbing plan, this manual will answer your plumbing design questions. If trying to learn the code by reading the code itself has left you frustrated and con- fused, don't worry. Even those who have worked with the code for years get tripped up sometimes. I intend to explain every point in plain language and offer examples that simplify the learning process. 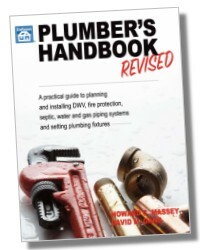 If you're new to the plumbing trade and need information on basic plumbing principles and installation practice, check the order form at the back of this manual. 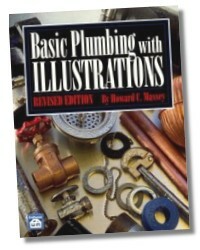 Basic Plumbing with Illustrations explains how to install plumbing materials. 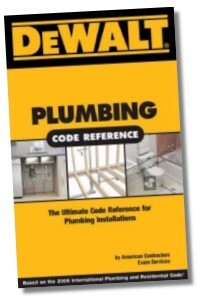 Plumbers Handbook describes what plumbing Installers need to know about the code. Which Code Do You Need? Before we go any further, let me identify the plumbing code I'm talking about. It's the Uniform Plumbing Code, published by International Planning Drain, Waste & Vent Systems Association of Plumbing and Mechanical Officials, 5032 Alhambra Avenue, Los Angeles, California 90032-3490. Every plumbing designer (and every plumber) working in the western and southwestern states should have a copy. Building departments usually sell copies of the code they enforce. Larger bookstores or technical bookstores also sell code books adapted for use in their area. There are several major plumbing codes, of course. 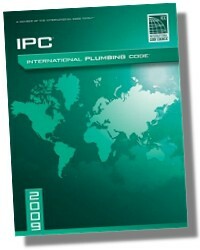 The Uniform Plumbing Code is the most widely used code in the United States. It is co- sponsored by the International Association of Plumbing and Mechanical Officials (LAPMO) and the International Conference of Building Officials (ICBO). Twenty-four states currently using the Uniform Plumbing Code are Alaska, California, Hawaii, Idaho, Maine, Montana, Nevada, New Hampshire, Oregon, Utah, Washington, and areas of Arizona, Colorado, Iowa, Kansas, Missouri, Nebraska, North Dakota, Oklahoma, Pennsylvania, South Dakota, Texas, West Virginia, and Wyoming. 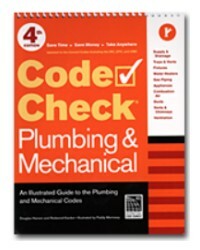 The second most widely used code in the United States is the Standard Plumbing Code, published by Southern Building Code Congress International, Inc., 900 Montclair Road, Birmingham, Alabama 35213-1206. It's used in fourteen southern states: Alabama, Arkansas, Florida, Georgia, Louisiana, Mississippi, North Carolina, South Carolina, Tennessee and some parts of Delaware, Missouri, Oklahoma, Texas and West Virginia. The remaining states have either adopted their own codes or refer to the National Standard Plumbing Code or the Building Officials and Code Administrators, International (BOCA). The BOCA Basic Code is widely accepted in the northeastern states. If your local plumbing code isn't based on the Uniform Plumbing Code, don't be concerned. The differences between these model codes are minor - and with each revision they become less important. 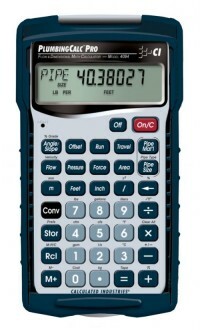 Every plumbing professional should understand how a plumbing code becomes the local law. Here's how it works. Few cities and counties have the resources and time required to create their own plumbing code from scratch. Instead, most cities and counties adopt one of the model codes published by one of the national code-writing organizations. Your city or county can adopt any code they want to follow, of course. And they can make any changes they feel are necessary when adopting that code. But once adopted, the code (with any changes) becomes a regulation that's enforced like a law in your city or county. That code remains in effect as adopted until it's amended or replaced by the adoption of another code. Note this very carefully. Even if you know that your city or county follows the Uniform Building Code, it's not safe to assume that they've adopted the current version that's being sold by International Association of Plumbing and Mechanical Officials. Many jurisdictions are still en- forcing older versions of the code. And it's common for a city or county to adopt changes or additions to the code that apply only in that community. You can see why it's so important to have a copy of the current code as adopted in the city or county where you do business.